Wake up, Wake up! (It’s The First of the Month) | Get Lifted Girl! Do you support yourself as much as you could? I have a feeling this post might ruffle some feathers. Yet despite my hesitance, I’ll go ahead and take my chances. Since I only have a handful of followers at this point anyway, there’s only so many people I can offend. I never write these articles to be purposefully controversial, but as long as I’ve paid my nominal fee for this little slice of the internet, again, I’ll say what I want. If this is your first visit to Get Lifted Girl then you may not know that I am a social worker by profession. In general, the title social worker tends to carry negative connotations. For many, we are like that girlfriend you don’t really like to hang with, but you keep around because she’s always good for a ride and tip money. We are appreciated for our helping hand, but given the side eye the minute our back is turned. We have the unfortunate reputation of being the people who nose around in your personal affairs and make judgment calls regarding very private and sensitive issues such as whether or not you can continue to live in your home or even raise your own children. Though most social workers enter the field out of a sincere desire to serve others, or in other cases, to rectify all of the injustices of their childhoods or subconsciously work out unresolved issues on unsuspecting clients (keeping it 100), sadly we are often misunderstood and discounted by the very people we came into the field desiring to help. Though many of us want to be the helping hand many people need, a denial of support can make us just another enemy to the poor and a part of the larger “system” that is viewed as oppressive and detached from the plight of the people. For most government assistance programs including Medicaid, Section 8, and food assistance programs, one would likely have to go through a social work professional. The social worker is the only potential obstacle standing between someone in need and their benefits, which is why we can jump from a person’s Christmas list to their s#*@t list with a quickness. When you’ve been in the field for as long as I have, there is pretty much nothing I haven’t seen or heard in terms of the complexities of the human condition. Now, it is my honest opinion that most people who seek assistance from the government are genuinely disadvantaged. I am fully aware that disparities in education, fractured family structures, and realities such as institutionalized gender bias and racism, do make it more difficult for many people to access opportunities that could lead to financial independence. However, I have to keep it real and admit that the most disheartening realization I’ve had to accept is that there are also many people who say they are in need who either are not, or don’t have to be. Some folks develop a habit of depending on the government that can be generational. For these people, depending on the system is likely the only thing they know because no one ever taught them about the wealth of internal resources that pay dividends far beyond a welfare check and food stamps. Then there are some who are just unmotivated. They are fully aware that they are able-bodied and should get a job but they are simply unwilling to put forth the extra energy to move their situation forward. And then there are the few who, frankly, make me itch. These are the people who flat out abuse the system. They will lie, claim other people’s children on their taxes, have babies specifically to get a pay increase, and use food stamps to feed their boyfriend steak and crab legs. As long as these recipients take advantage of loop holes in the “system” then the people who are truly in need have to do without. It is also these few who tarnish the reputation of all people on public assistance which makes needing to ask for help that much more shameful and embarrassing for those who would actually rather work than wait on a check. If it has become second nature to hang your entire life on the first of the month, then as a social worker who is committed to being a friend and not a foe, I’d like to address this issue. I write this post first as a woman of faith, and second as a social worker who is tired of people, particularly my sisters, selling themselves short. I guess I should put this out there first. I was not raised on public assistance. I am the product of two educated and professional Black people who always worked. In fact, I can’t even imagine either of my parents applying for benefits even if there was a need. My parents were the type who would just work fifteen jobs like the Jamaicans on In Living Color before they would accept a welfare check. Now, I don’t say this in an effort to come off better than anyone else, especially because personally, I don’t have nearly as much pride. To be real, I may not have struggled much as a child, but as an adult, I have been straight up broke, busted and disgusted. Despite my college degrees and wealth of professional experience, I’ve never really been a wiz with money. Add this to the fact that I didn’t financially plan for my family, racked up a mountain of student loan debt, and charged my way through graduate school, and you can understand why I stand in judgment of no one. My precarious financial history has actually put me on the receiving end of benefits myself. Now, I have always worked and have never taken a check. But please believe, I was quick to apply for Medicaid and WIC for my children in lean times and have applied for food stamps numerous times, though I’ve always been denied for making too much money. There’s nothing more frustrating than being too broke to feed your children, but too rich to get help. (But that’s a post for a later date) The point is, each time I applied for benefits it was with humility and a commitment to use them for as limited a time as possible. I don’t like the idea of relying on anyone for too long. I believe in cleaning up my own messes and though I’ve made many, I would rather work my way out than take a handout. This also is not meant to come off high-minded. It just means that I was blessed with that example in my parents. It’s probably the reason I married my husband who has worked two jobs since we’ve been together. I understand what a strong work ethic should look like, and because I know what it is, I respect it. If someone never learned that they are worth more than $908 per month and $715 in food stamps, then I can’t judge them. I can only do my part to help inspire a new way of thinking. Why is it okay for anyone to tell you where you can and cannot live? Why are you letting Uncle Sam tell you what it costs to raise your children? He will always give you just enough to keep you in poverty. He doesn’t care if your son wants to go to football camp or your daughter could be a gifted ballet dancer if you could just afford lessons. When you allow the government to limit your income, you are allowing it to limit you and your family’s potential. The fear of not having enough is actually what’s keeping people from having enough. People get conditioned to not pursuing work because too much income will affect their benefits. Yet, if you are willing to sacrifice the potential of more out of fear of losing less, then what does that say about your sense of self worth? Here’s a little heartfelt advice for my ladies on public assistance. Keep you head up. I understand that times are tough and you want to ensure your family eats. But don’t get comfortable. Don’t settle for less than what you or your children deserve. With enough determination, you can stand on your own two feet once again. I can’t say it’s going to be easy. Yet women have worked, gone to school, and raised children successfully for forever and you can do it too. If you search yourself, you may find gifts within that could take you further than anything you ever imagined. Study the lives of women like Fantasia or Iyanla Vanzant who were both once on welfare. Your gold mine could be inside you right now. Inviting Uncle Sam into your life means that he will always have a say so in where you live, where your children go to school, what you eat, and how far you can go. If you wouldn’t give anyone else that kind of control over your destiny, then don’t give it to the government. Pay the cost so you can be your own boss. 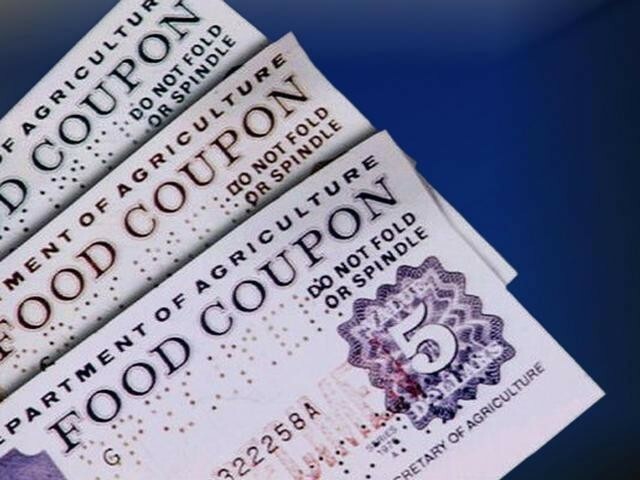 Just because mama and grandmamma were on welfare doesn’t mean you have to be. I’m sure the first person who advised you to apply for benefits meant well, but it could also mean that they didn’t know what else to tell you. We are not supposed to live within limits and thinking that life has to be maneuvered within certain parameters is a lie. Recognize that you may be perpetuating a cycle of hopelessness and fear and be brave enough to go against the grain and take a chance. You just might break the cycle and be an example to your own children. Limitless opportunities are possible for a strong woman with a free mind. Why don’t you care about your future? What has happened to make you so apathetic about what goes on in your life? I’ve been a counselor long enough to suspect that a history of abuse, trauma, and disappointment in childhood has set many people up for this type of lackadaisical approach to their existence. Perhaps so many things have not worked out that it no longer seems worth the effort to try. Even if everyone else has let you down, there is no need to add yourself to the list of people you can’t count on. Get up, get out and get something for yourself! You might find that your own support is all that you need. Get Jesus! Get a job! Get it together! Get your hand out of my pocket! If it takes three jobs to support my household and I can’t afford to eat steak very often, then you can’t afford it either……….that is all. For too many of my ladies, it has long since been time to get lifted off of the welfare rolls and get on with the life you really want and deserve. No need to wait on the first of the month, the time to wake up is now.